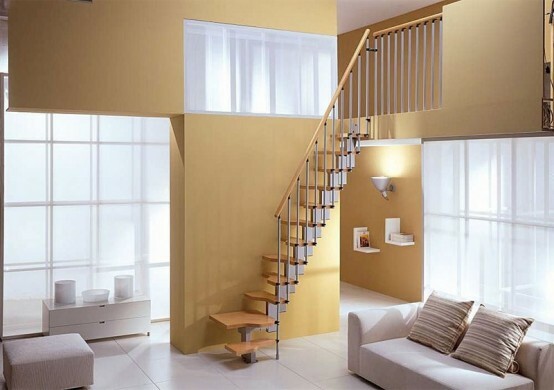 I have seen spiral staircases and ladders used for staircases in houses and thought they would be a pain to deal with, especially getting furniture up and down. It seems inconvenient, but in some cases they actually help add necessary space to a house which wouldn’t have existed before. I live in a small northend home and have thought about adding on to the back to add more space for a future family. It is tough when there isn’t much room to expand to begin with. 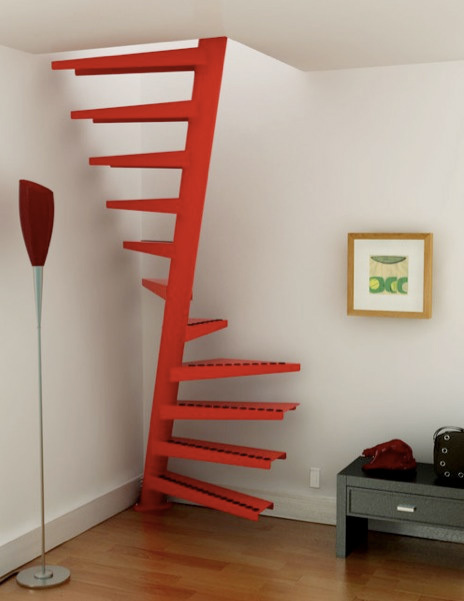 I found an old article that shows space saving staircase designs which would definitely come in handy for smaller homes. Below are a couple of my favorites. This red corner spiral staircase doesn’t take up much room at all and fits well into the corner. It would be great for getting to a remodeled attic with a small entrance. This staircase appears to be steep, and also very well made and thought out. 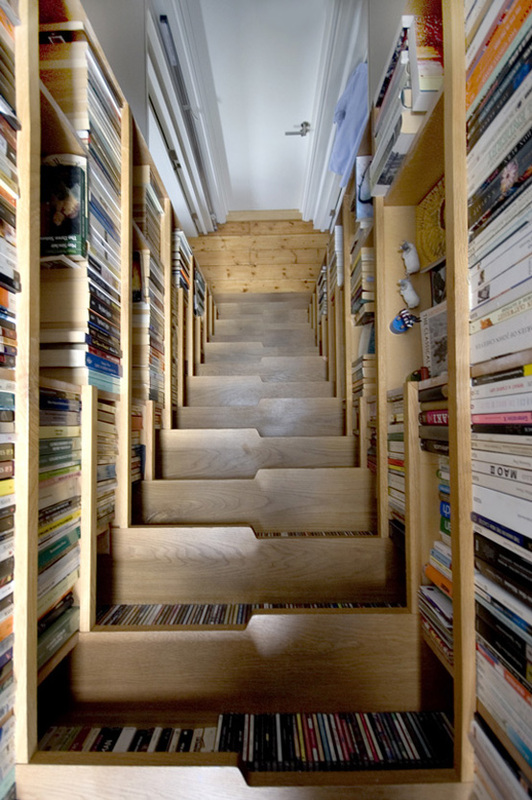 This would be a great remodel for a small house because you can store books, cds, and dvds under each stair and along the walls.